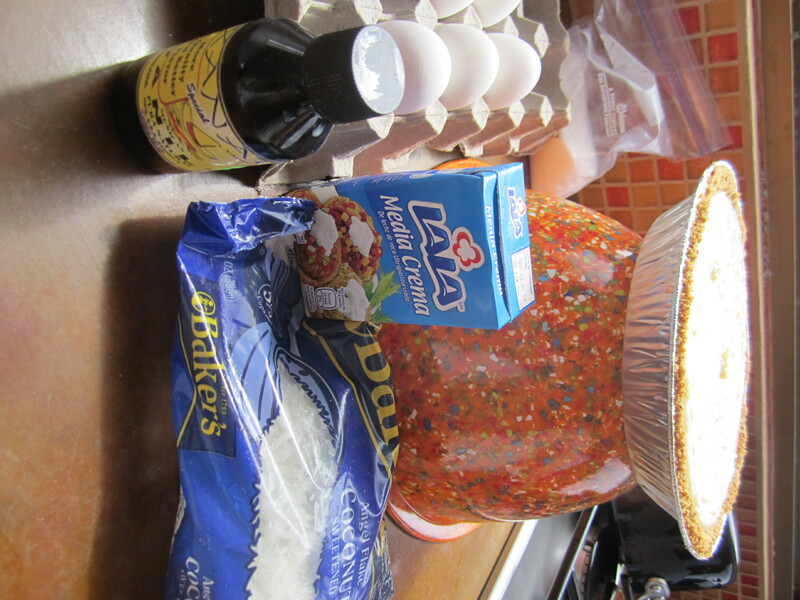 For my first pie in Mexico I chose to make a simple custard pie with shredded coconut. 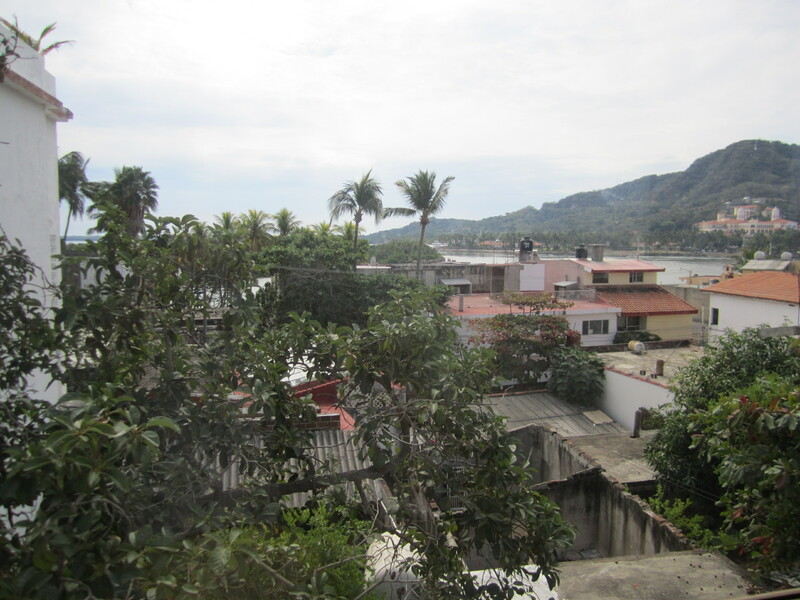 To begin, we headed to a little store (tienda) and purchased butter, eggs, cream, flour, and vanilla (mantequilla, juevos, crema, harina, y vanilla). 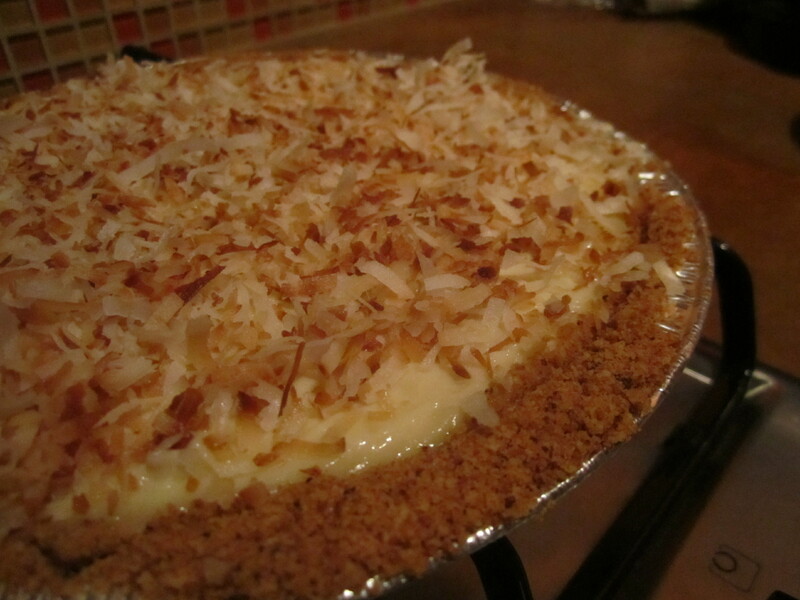 I had brought with me crushed graham cracker crumbs for the crust and shredded coconut for the filling. We were in a hurry to catch a bus so I asked my husband to assemble the crust. He did this by using a small saute pan to melt the butter and then he added the graham cracker crumbs and toasted them lightly. Once that was done, he pressed the crumbs into a pie tin and put it in the fridge to set. Meanwhile I made coconut custard on the two burner stove that we are lucky to have available. In mere moments it was thickened and smelled heavenly. I poured the warm custard into the crust and covered it with plastic (to prevent a skin from forming) and then put it into the fridge. But before I did that, we snapped a few photos. 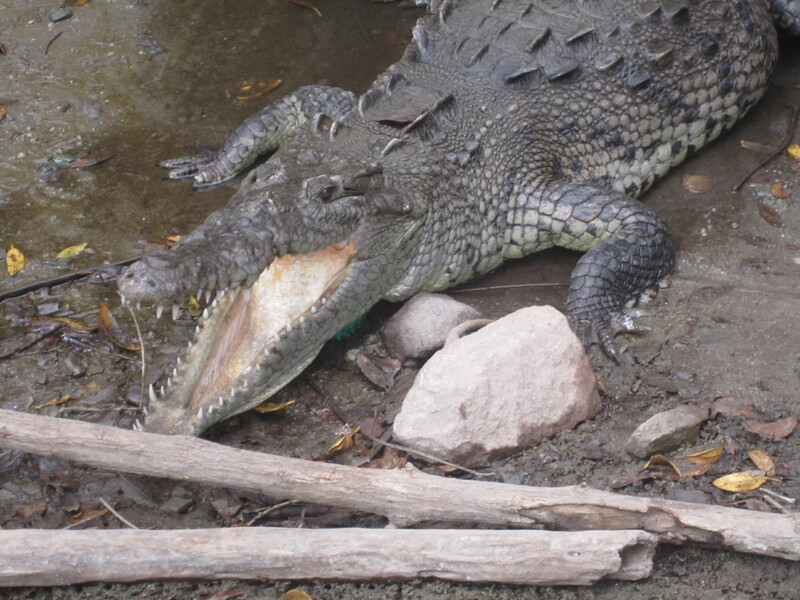 After a day trip to La Manzanilla (where we saw crocodiles!) 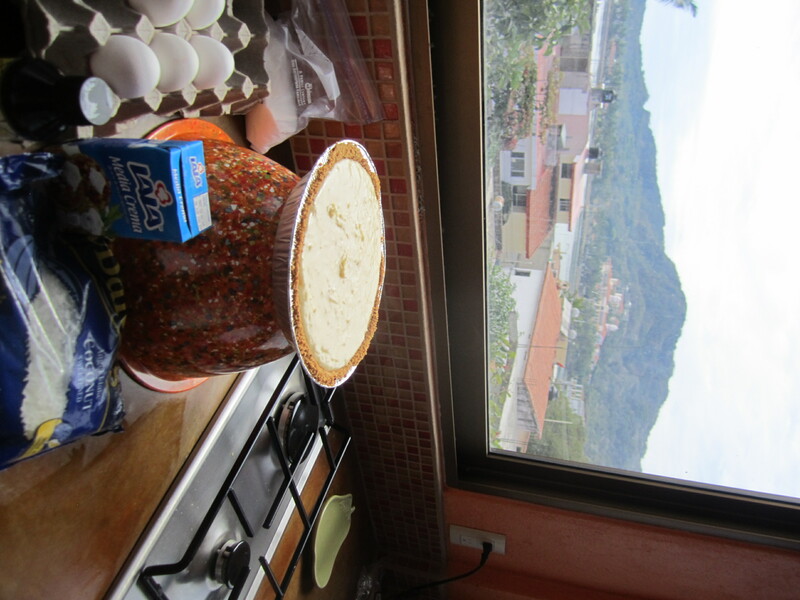 and a bus ride home that included a man serenading the passengers with songs like “Besa Me Mucho” we came back to our apartment to find the pie had set up nicely. I toasted some coconut to decorate the top and brought the pie to Cynthia, the woman who oversees this apartment for the owner. 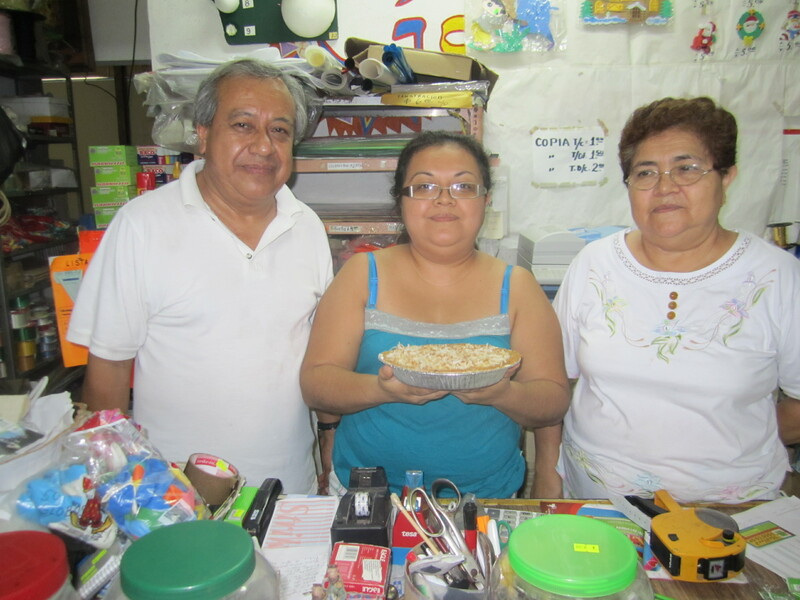 I tried to explain the pie project to her family in my best Spanish and I think they understood the message – it’s all about showing gratitude.